When asked at the recent Glastonbury Festival if music can change the world, the Dalai Lama replied: “If music really brings inner peace, then this Syria and Iraq – killing each other – there through some strong music can they reduce their anger? I don’t think so". Far be it for me to disagree with His Holiness, but Glastonbury may not have been the best place to pass judgement on the transcendental power of music. My view is that music can help change the world; but only when it is stripped of the self-serving rhetoric and covert commercial agendas that pollute it at celebrity level. We should just let the music speak for itself, as in three forthcoming events that span the Atlantic. 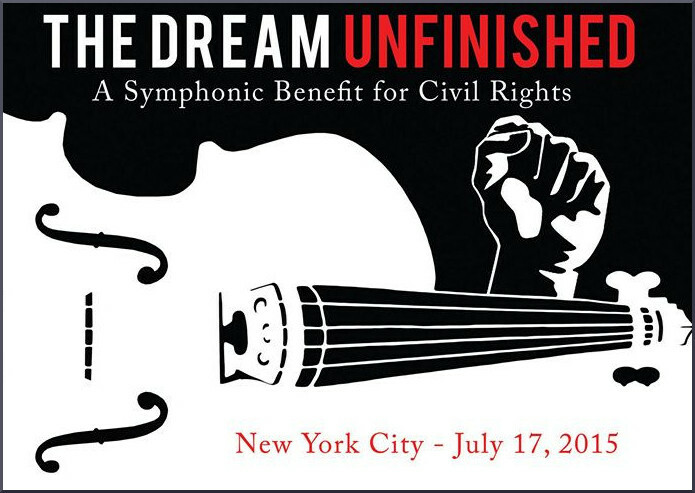 'The Dream Unfinished: A Symphonic Benefit for Civil Rights' brings together orchestral musicians, artists and activists, in support of civil rights, social justice, and an end to systemic racism. The concert on July 17th in New York is of music by William Grant Still, Leonard Bernstein and Jessie Montgomery, the latter is a world premiere of a work by the young violinist and composer. The conductors are James Blachly and John McLaughlin Williams, and the venue is the Centennial Memorial Temple, 120 West 14th St, NY. Tickets are outstanding value at $25. If transatlantic flights weren't so expensive I would be there myself. The Tashi Lhunpo monks are part of the Gelug - yellow hat - Tibetan Buddhist lineage of which the Dalai Lama is the head. 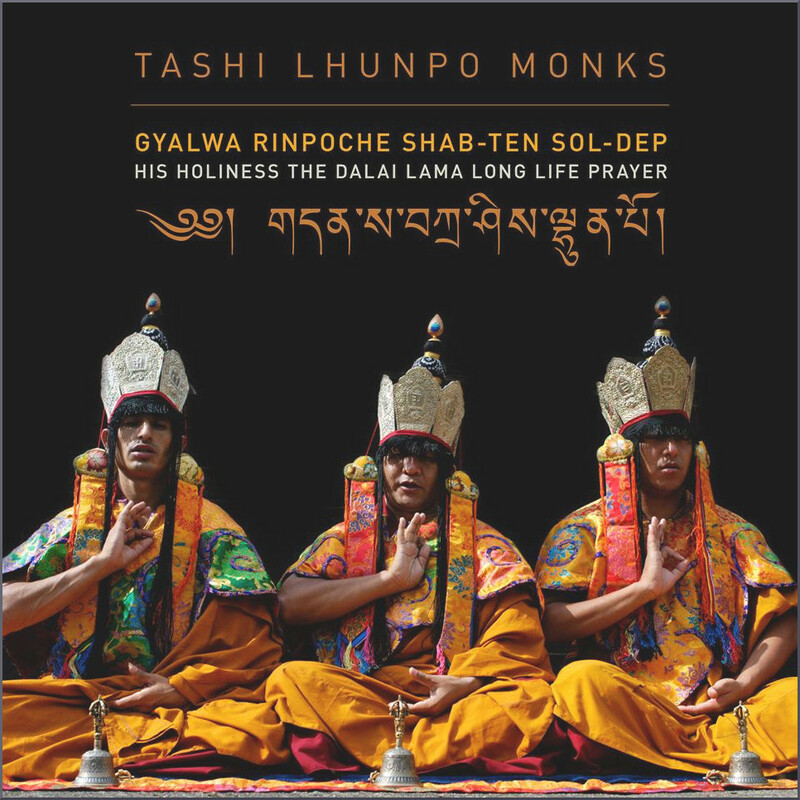 There have been several appearances by the Tashi Lhunpos on An Overgrown Path over the years, and the monks are currently touring Europe and performing their unique tantric music at venues from Genoa to Aberdeen. As was noted here, the Dalai Lama has just celebrated his 80th birthday. 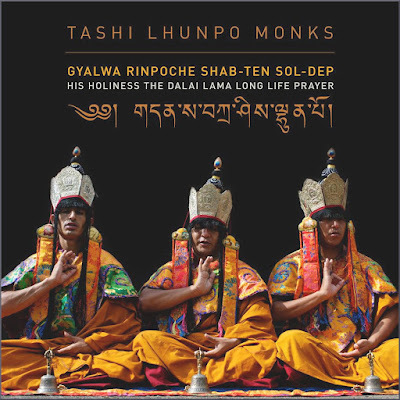 To mark this auspicious event the Tashi Lhunpo monks have released a digital single of a prayer requesting long life for His Holiness for the benefit of all sentient beings. That is the artwork for the single below: listen and buy it via this link - what else does £1 buy these days? For me one of the highlights of the recent Fez Sufi Culture Festival in Morroco was Ali Keeler's concert with Sheikh Hassan Dyck's Muhhabat Caravan. Ali Keeler was born in London in 1973; he studied classical violin at the Royal Northern College of Music in Manchester and played in youth orchestras and a string quartet. But his career path then took a dramatically different turn: he converted to Islam and moved to Syria, where he switched his studies from the performance traditions of the West to those of the Muslim world. Ali now lives in Granada and leads the Al Firdaus Ensemble which he founded. The ensemble performs intercultural interpretations of Andalusian Sufi music; sample one of their mystic earworms via this link. This month Ali Keeler brings his Al Firdaus Ensemble to England for their first tour of the country. Dates and venues for the five concerts are on this video; celebrity activists should note that Al Firdaus' open air concert on July 19 is a free event organised by Milton Keynes Islamic Arts Heritage and Culture. 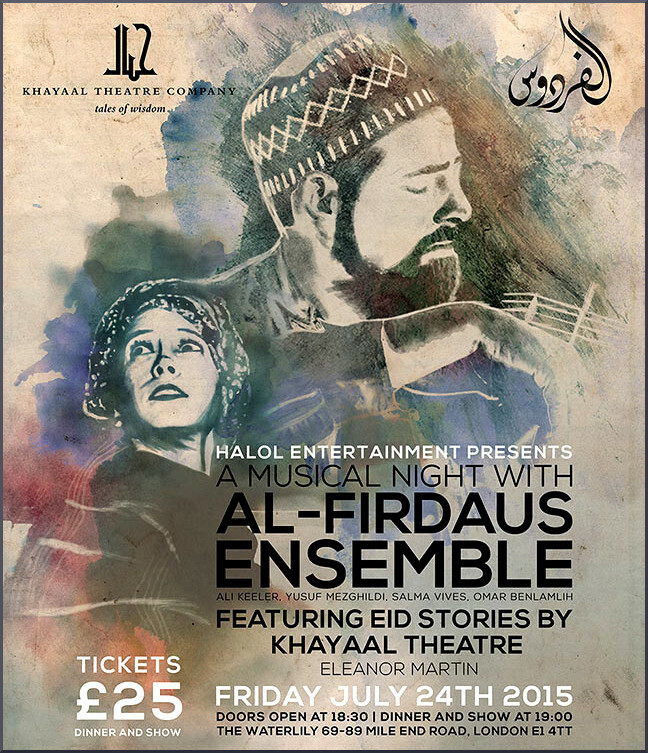 On July 24th at the Water Lily, Mile End Road, London Ali Keeler and his ensemble celebrate the festival of Eid in an event with the cross-cultural Khayaal Theatre Company, and I will be there. The website for 'The Dream Unfinished: A Symphonic Benefit for Civil Rights' describes how the ambitious goal of the event is to demonstrate how music can bring people together in solidarity. That goal is, I am sure, shared by the Tashi Lhunpo monks, the Al Firdaus Ensemble, and all the other musicians working at grass roots level. Music can change the world if it is left to speak for itself, so please support them. No freebies involved in this post. Any copyrighted material on these pages is included as "fair use", for the purpose of study, review or critical analysis only, and will be removed at the request of copyright owner(s). Also on Facebook and Twitter.